Shaped cut and stretchable fabric eliminates excess fabric for improved freedom of movement. ClimaCool provides heat and moisture management through ventilation. 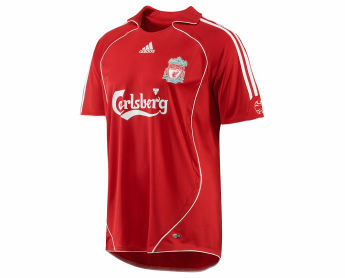 Worn by Liverpool. You've heard it a hundred times before. You know the words by heart. But every time they sing "You'll Never Walk Alone" at Anfield, you still feel a chill. You're a Liverpool fan, red and true. Show 'em your true colors with this Home jersey.